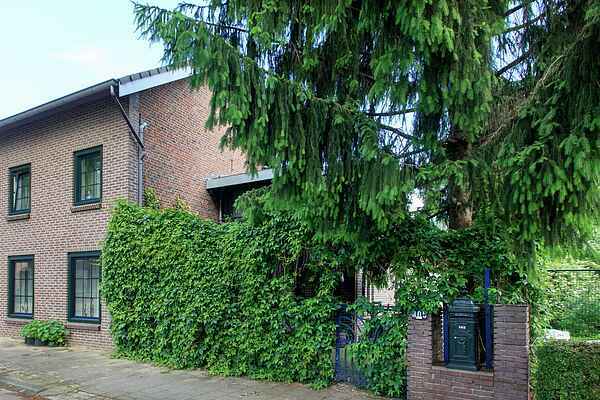 This comfortable apartment, located in a very quiet residential area in Heerlen, has been furnished with lots of love. It gets its name, "de Bonte Specht" (spotted woodpecker) from its warm and colourful furnishings. Inside it's small, but very practical; you can use the space optimally. The advantage of this home is the very spacious roof terrace, where you'll feel like in the middle of nature thanks to the many flowers and plants. Heerlen has something for everyone during their holiday. For example, discover special and unique animals in Gaia Zoo, find entertainment in Mondo Verde (Landgraaf) or visit the ultimate children-proof museum in the Netherlands: Continium Discovery Center in Kerkrade. Real adventure enthusiasts can indulge in the longest indoor piste of the Netherlands: SnowWorld in Landgraaf. Visitor centre Brunssummerheide is the place to go for hiking or Nordic Walking. This is the starting point to explore this beautiful nature reserve, characterised by hills, heather, forest and many small lakes. The well-known panoramic marl route is very popular with cyclists and motorcyclists. Mountain bike enthusiasts can enjoy the 21 km long route, characterised by a number of climbs and ascends, making the route certainly worth it. Those who love city trips, can also use Heerlen as starting point. Burgundian Maastricht, tourist Valkenburg, Liege in Belgium and the German imperial city of Aachen are all nearby.